‘k, if you’re on the fence about this one.. prepare to be shoved off. The value of this one is off the charts crazy good. 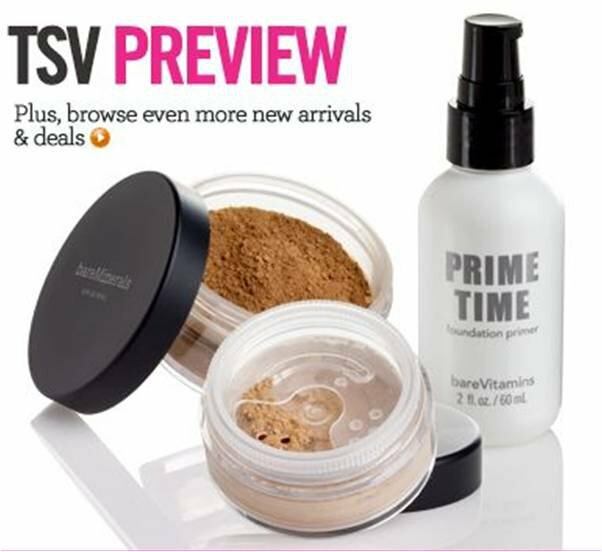 The Foundation is ginormous (twice the size of the regular Foundation jar), the Primetime Primer is also twice as big, aaaaand, the NEW Advanced Clear Radiance is not only NEW, but it’s 5x’s (yes, 5x’s!!) the size of a regular Clear Radiance. You’re looking at a 191.00 value for only 49.98. Like I said.. crazy good. Heather has a fantastic Blog post up with pictures of the size comparisons and a great right up/review of the product.. be sure to check it out. Heather’s TSV Review. Did I mention crazy good value? This entry was posted on August 12, 2011 at 10:20 pm and is filed under Kits, QVC. You can follow any responses to this entry through the RSS 2.0 feed. You can leave a response, or trackback from your own site. Anytime.. you did a great job showing the size differences and your right up was excellent! 🙂 Everyone needs to “get” what a super value this is.. it’s like, unbelievably good and for any ladies hoping to sell their hubbies/BF’s on it.. value is key. lol.